PayPal is the faster, safer way to pay online. Paypal adds new fees to its customers without notifying them of the change in last month. From June, PayPal had started charging for payments classified as "Goods" or "Services," even if you have a personal account. 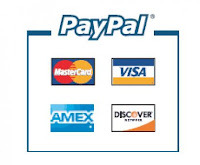 PayPal now will be charged a fee of about 2.9% plus 30 cents. It's possible to send money for free as a personal transfer, but this is only intended for friends and family. PayPal had been claimed about the new fees announced in Paypal’s official blog, news articals and emails. PayPal started allowing people with premium accounts to make personal transfers for free. All your transactions are available in your PayPal account so you can easily track your online spending. PayPal needs to break into some of these other markets if they want to continue to expand.